The Dry Grid short sleeve T-shirt is designed for the keen mountaineer and delivers comfort through a wicking and quick drying fabric. 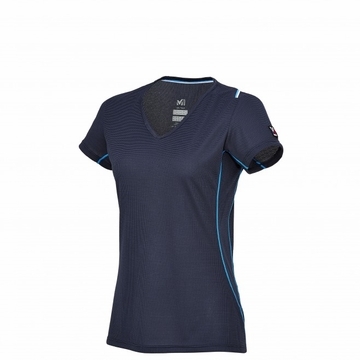 The Alpine Fit is close to the body without restricting movement . It is ideal to wear as an underlayer to complement a protective shell, on expeditions, hiking sessions and as a stand-alone piece, for everyday comfort. The Polartec Power Dry Grid fabric is designed to keep you dry, even when you sweat. Manufactured using an exclusive double-sided knitting process, it combines a moisture-wicking inner surface and a quick drying outer surface.